Beautifully printed large format graphics, that's what we do. Our state-of-the-art LED printers can image directly onto a wide variety of substrates like wood, plastic, board and glass.Save money and increase brand exposure. We use specialised inks that resist against UV caused fading and resist marking so your prints will always be vibrant and sharp, no matter the location. 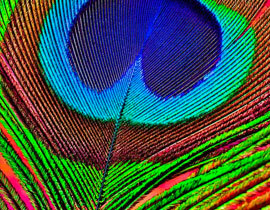 We understand colour from a brand perspective and always deliver to your expectations. Ask us about our commitment to brand guidelines. 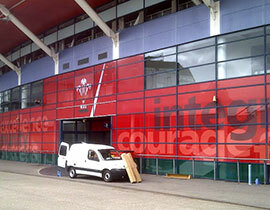 Glorious and detailed graphics printed for indoor and outdoor use, on a range of subtrates. From small to very, very large. Creating a good first impression is paramount when advertising your company. You really need to think BIG. When it comes to exhibitions and display, no one does it better than Valley Group. We can produce large scale print work for all manner of display units including Roll-Ups, pop-up stands, modular exhibition stands, wallpaper and wall-mounted light boxes. 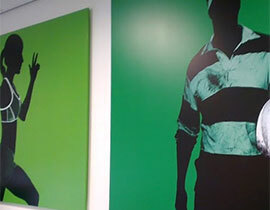 Our wide format printing allows us to print on many substrates from your standard posters and canvasses to large vinyl window graphics including a range of items from outdoor graphics, vehicle graphics to stickers. In fact, we’ll find a way to print pretty much anything you need to make sure you stand out. Our in-house design team can assist with the graphics for your trade show or for a simple poster in the office. Add a touch of the extraordinary with digital wallpaper feature walls in your office or home. 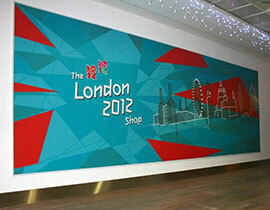 Create stunning retail graphics and point of sale material for permanent or temporary situations. Glass decoration has never been easier. Choose from a range of back-printed and front-printed materials that offer huge impact at low cost. Nothing beats a good image that jumps off the wall. Literally! 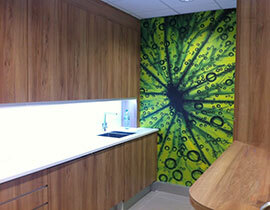 Our printed wall panels add depth and colour to any wallspace. 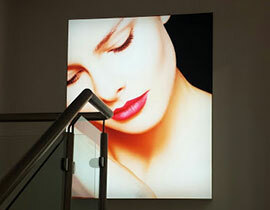 Perfect for advertising or to create a stunning lightsource, our lightbox prints are beautifully printed. Printed on quality archival paper, our giclee prints faithfully reproduce your original artworks and are certified to last years. We produce approximately 30,000sq m of print every year. Enough to cover the whole of Swansea Marina!